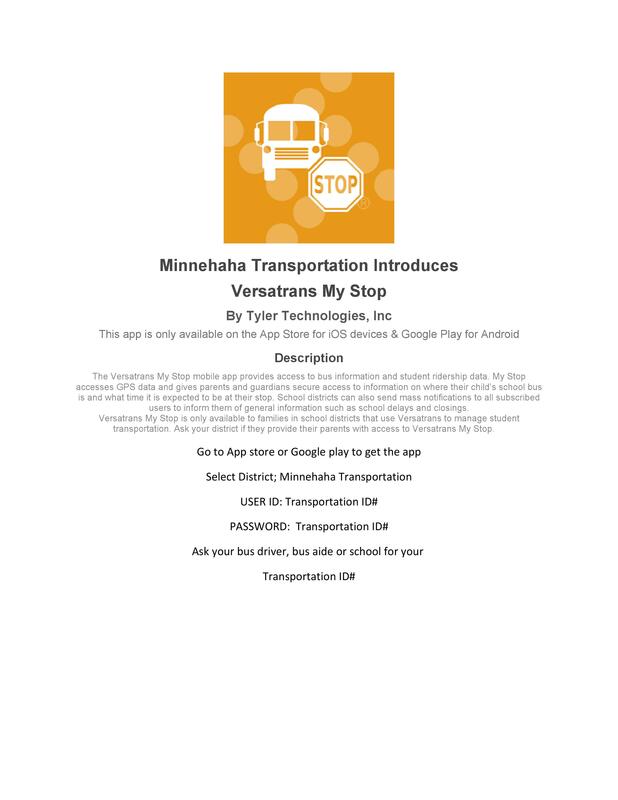 My Stop is a smart phone / tablet app you can use to track the location of your school bus! You need to know your student ID# to track your bus information. 3. Your userid will be TCA plus your student number. If you do not know your student number, it is the same number your student uses to log in to their portal account. You can find it by logging in to the portal and looking in the upper left corner for student information. It is also printed on report cards and students were given a label to put in their agenda with that information.